The voice over IP industry has played a significant role in helping businesses grow beyond boundaries. The VoIP market is forecasted to hit a value of $140 billion by 2021, but one issue that has raised concern is VoIP security. In the early days when it first came into use, there weren’t any security concerns. The existing security threats are primarily because VoIP is replacing old communication systems globally. It's a system that brings together voice communication and data networking for seamless business processes. This unification of communications has brought with it some challenges. Let’s look at some of the VoIP security challenges that businesses are currently facing. In the same way that email is spammed, VoIP is also prone to spam attacks. This means that spammers can send you unwanted voice messages to your IP address. Although this VoIP security threat isn’t prevalent, it's starting to gain momentum. The result of SPIT as a VoIP security threat is that your voicemail service will suffer. Your voicemail gets clogged, calling for more storage space. You’ll also need to apply better voicemail management tools. Spam voice messages also come with viruses and spyware, which attack the entire system. SPIT attacks come with other risks like DoS attack and Vishing. DoS happens when a perpetrator sends a large volume of connection requests to a network. It’s an annoying VoIP security threat that can degrade your services. It also denies service or connectivity to your system. One way that hackers initiate a denial of service is through the consumption of your system's bandwidth. They may also overload the network or internal resources. They specifically target your system and flood it with unwanted SIP call-signaling messages. Consequently, your system services become degraded. Calls drop prematurely or halt in the process. Once attackers launch a DoS attack, they can get the remote control of your administrative functions. Vishing is yet another VoIP security threat that involves stealing your information. The term is coined from the widespread security threat of phishing that has massively begun affecting VoIP. A data thief will send a message through your email or phone. Usually, they make you believe they're genuine contacts like your bank or e-commerce store. The message is often to notify you of a problem in your account. If from an e-commerce store, they’ll most likely be offering you an offer you can’t resist. They give you a phone number or website name to reach them through, requiring you to provide your credentials. Mostly, they ask for your security code, credit card number, and password. If you’re not careful and don’t verify the information, you’ll become a victim and lose your money. When looking for the best VoIP providers, you’ll realize that identity theft is a top VoIP security concern. Reviewers want to know how safe they’ll be using any given VoIP service. Data sent over SIP, which is the protocol responsible for user authentication isn't encrypted. This lack of encryption puts your data at risk and exposes it to vulnerability to interception and theft. SIP is usually the most targeted protocol in all security threat attempts online. Hackers track information and traffic. Once they get access to usernames, passwords, and phone numbers, they can quickly gain access to the information they need. They can compromise your communication services like charging information, calling pans, and voicemail. You can compare service or identity theft to phreaking. This refers to stealing service from the owner while passing the costs to another person. With encryption not being so common with SIP, your credentials are prone to theft. Eavesdropping is a VoIP security threat that gives hackers access to your credentials. A third part obtains names, phone numbers, and passwords and gets control over your voicemail services. They can change your calling plan, billing information, and call forwarding, hence disrupting your business services. Eavesdropping happens because hackers want to steal your business data. They also make calls on your account at your expense. As a bonus, we'll also let you in on another VoIP security threat. This is hopping, which is the exploitation of the layer two protocol to move between VLANs. Once a hacker hops between two virtual local area networks, they use the VoIP system to access essential data. Information like financial records and credit card numbers will be easy for them to access. Hackers will sometimes find a way into your system through your antivirus. In case fake antivirus messages pop up, notify your service provider. If these two sporadically activate without your involvement, you need to contact your service provider. 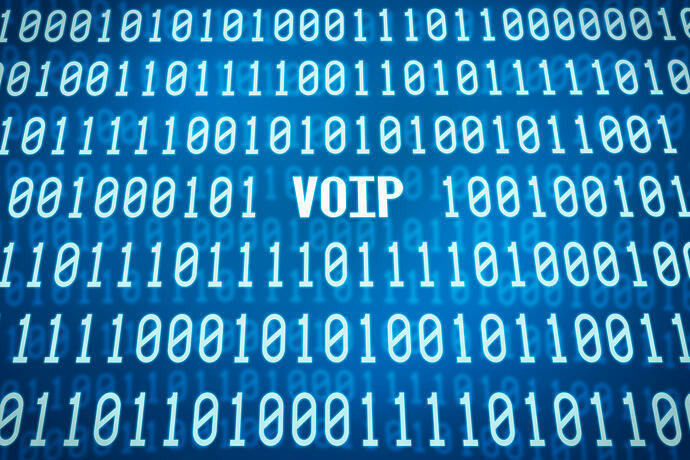 A sudden drop in the quality of your calls can happen as a result of VoIP security threat. To keep your system safe and to reduce the risk of a cyber-attack, perform periodic checks on your system. Regular security checks will help you identify and curb any threats in good time. Train your staff to detect spam and phishing attacks. For enhanced security, make use of multiple layers of security tools. The use of VoIP has brought a revolution in the way businesses operate. Unfortunately, VoIP security threats are on the increase. The most common types of threats are vishing, eavesdropping, DoS attacks, eavesdropping, and identity theft. You can tell if your VoIP system has been attacked if it suddenly has poor quality calls. Fake antivirus messages and microphones activate themselves are also other tell-tale signs. Not paying attention to unusual activities can cost your business all it’s worth. Keep your system safe by conducting periodic security checks. If in doubt of anything, always consult your VoIP service provider. 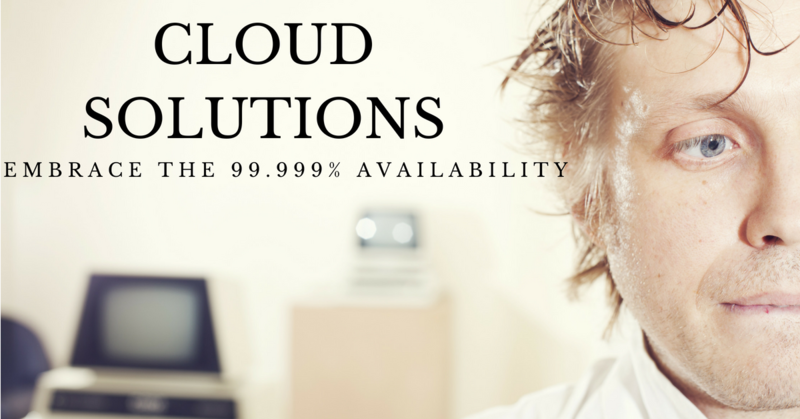 For your IT needs and concerns, be sure to reach out to us.